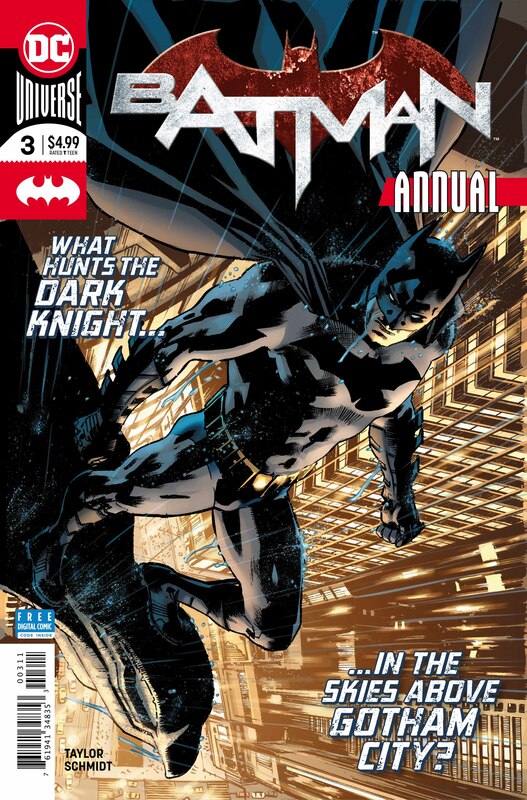 BATMAN ANNUAL 3 is a fantastic throwback to the days of Alan Grant, Denny O’Neill and the ’80s/’90s stable of Batman creators. 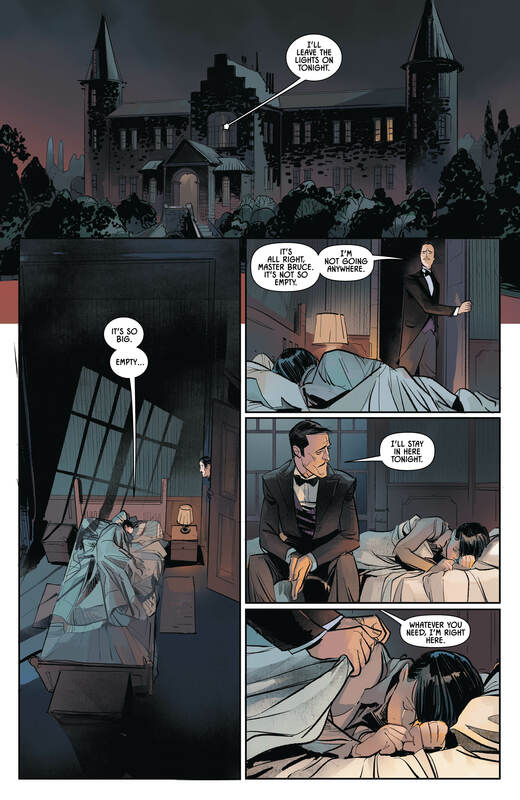 In an issue which very much feels like a classic Legends of the Dark Knight, the readers are given a view of the aftermath of the Wayne’s deaths from the perspective of Alfred. “The other side of the Penny” shows us just how hectic, stressful and action-packed things can be the faithful butler. This is a touching, emotional and understated story. 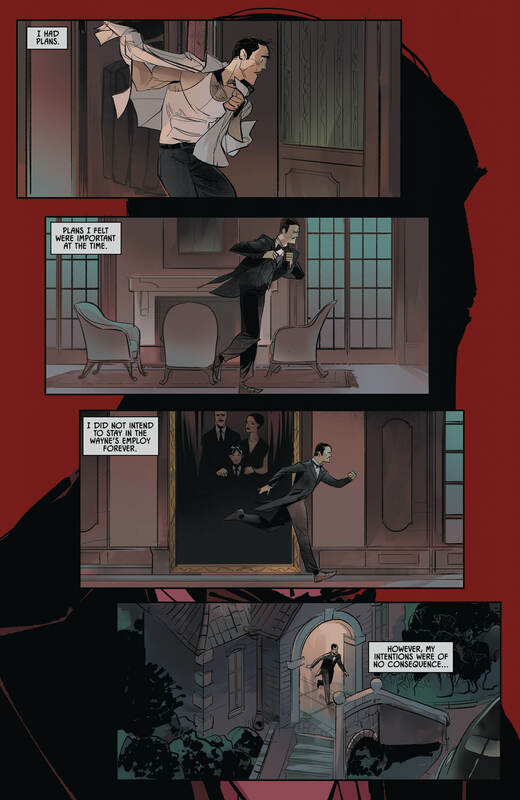 Taylor deserves great credit for the way he takes the old, familiar Bruce/Alfred dynamic and flips it on its head. 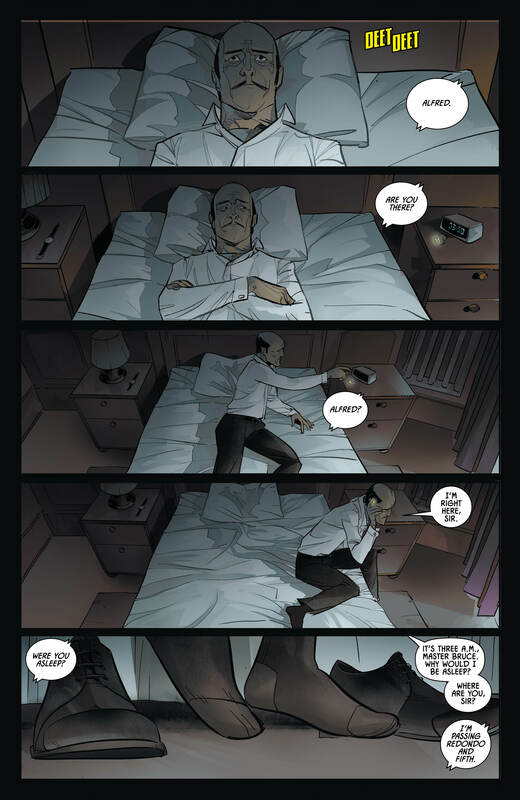 It’s hard not to feel sorry for Alfred as he juggles running Wayne Manor and being on call round the clock. 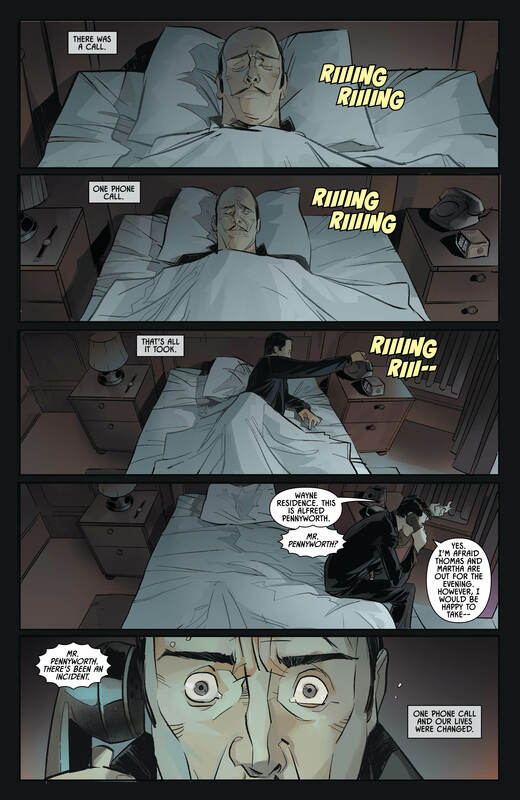 Taylor really allows Alfred his opportunity to shine, demonstrating how much of a father he is to Bruce Wayne. 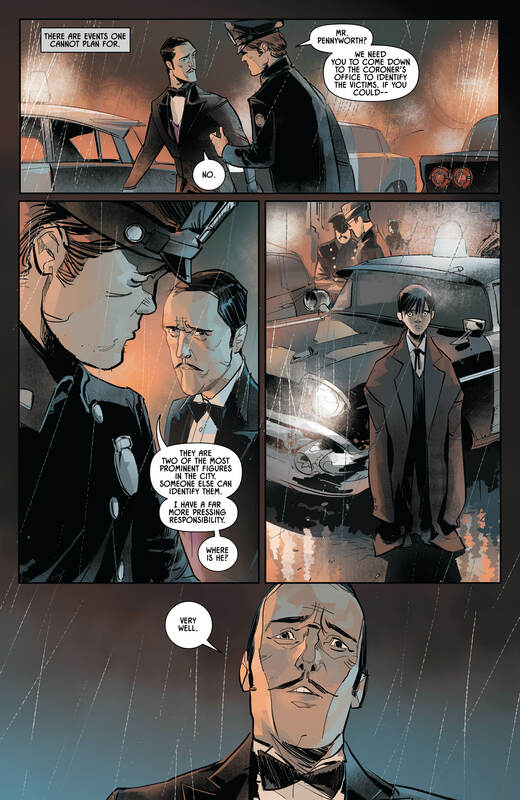 Seriously, the last couple of pages are some of the best, and most sincere character work that has been done on the Dark Knight books outwith Tom King’s run. If I were being picky, the “superhero” element of the story lets it down, but it is really window dressing, a device to allow the main story to shine. I would also be remiss if I didn’t highlight the artwork. Otto Schmidt needs no introduction at this stage, and his art here balances the subtle character work with the more energetic and kinetic action scenes. At the end of the day, this issue is a winner, both visually and narratively. If you are an old skool Batman fan who is jaded with reboots, NU52 and multiple part stories, this is the perfect tonic. In fact, this issue is so enjoyable, it could easily have been an episode of the animated series. There is even a subtle shout out to a well loved episode that eagle eyes fans should spot. No higher praise for this issue can be given than that. This isn’t grim n gritty, not is it day-glow camp. It’s just pure fun. Take Alfred, one splash of Tea, a smattering of crumpets, a pinch of rockets, mix with gadgets, Leslie Tomlin’s and a dose of Batman and you have a winning issue. Heartfelt, sincere and rock solid – go buy this now!